Our experienced college counselor's will help your child navigate the complex admissions process. With college admissions and scholarships now more competitive than ever, you need to be ahead of the game. We will help your child create and implement a Personal College Admissions Strategy. Our goal is to maximize success for your child, by personalizing the process and decreasing the stress associated with college admissions. 1 Exploring different colleges and options based on student interests, grades, SAT/ACT scores and extracurricular activities. 2 Creating a prioritized list of colleges that suits the student and family needs and budget. 3 Deciding between regular admission, early decision or early action for each college. 4 Creating a list of scholarships for which the student can apply. 5 Completing applications that stand out from the rest, including helping students write outstanding essays. 6 Scheduling campus visits and preparing for interviews with college admissions counselors. 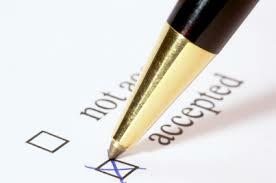 7 Evaluating options (accepted, deferred or waitlisted). 8 Preparing for the transition to college, including new responsibilities and study skills. Academy Tutoring has helped students achieve admissions to the top Universities in the country, and receive over $4,200,000 in scholarships! Contact us today at 570-540-9628 with any questions or for more information regarding our College Admissions Services.